Sadly, it's what our political process looks like these days. A Washington congresswoman decided to hold a town hall meeting with friendly constituents. Then she asked the local paper to keep it secret in order to keep out people asking unseemly questions. Like, "Why do you want to cut my Medicare?" 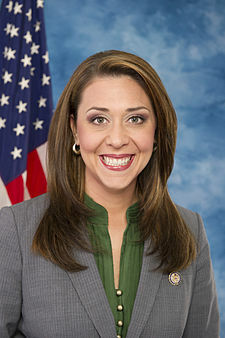 Freshman Rep. Jaime Herrera Beutler (R-WA) told a town hall gathering Monday that “the whole purpose” of the meeting “is to hear from you.” But apparently Herrera Beutler isn’t interested in hearing from everyone. The Chronicle refused [Bowman's] request and published an announcement in Saturday’s paper. The reason for not publishing an advance notice of the meeting was the fear that people from outside the immediate area could come and “just yell” at the congresswoman “whatever’s on their minds,” Bowman said Friday. “When word gets in the paper, you get a certain set of people,” Bowman said. Props to the Centralia Chronicle, btw. The mainstream media too often plays along with politicians' little puppet shows.